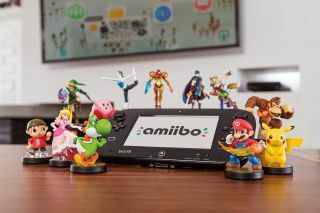 The Boxing Day Sales are upon us, so it's the perfect time to open your figurine cabinet, blow the dust from your Marth and complete your Nintendo amiibo collection. You do have a figurine cabinet, right? There's a lovely Boxing Day deal happening right now over at Smyths, which will make completing your amiibo collection easy. But act fast: these are only on offer until the New Year. • View deal: Grab your favourite Nintendo heroes in miniature form with 3 for 2 amiibo at Smyths. It's a great way of polishing off your burgeoning amiibo collection, and if that's not enough, you can pick three figures who hate each other and pretend that they're fighting in the box while being delivered to your house. It's what Miyamoto would want. For more Boxing Day bargains, including consoles, 4K TVs and entertainment, check out our full list of Boxing Day sales gaming deals.